Cricket South Africa (CSA) has announced the 15-woman Momentum Proteas squad that will tour against Pakistan in Abu Dhabi. CSA have announced the women’s team that will target African dominance in Benoni and Stiaan van Zyl’s wait for Test action should come to an end. After losing the three-match ODI series 2-1 to the Proteas women, India responded by winning the only T20I by 16 runs in Bangalore on Sunday. Mignon du Preez’s South African team bounced back from a heavy defeat in the second ODI to win the three-match series 2-1 after winning the final match in Bangalore on Friday. The all-rounder hailing from KwaZulu-Natal has played out of her socks for the Proteas women in the first two ODIs against India. The Proteas women went down in the second ODI, young Titans batsman is a future Protea and the SA U19 cricket side is nominated for team of the year. The Proteas women won their first ODI against India, while the Springboks have named their squad to take on the Proteas. South African women’s batsman Mignon du Preez opens up to www.wisdenindia.com about captaining the team, professionalism and the way women’s cricket is viewed in South Africa. 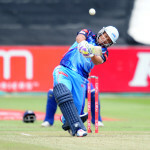 The Proteas women suffered a heavy defeat in their Test, while Qaasim Adams is confident the Titans can bounce back. Mignon du Preez’s debut Test century was not enough to save South Africa’s women from following on, on day three of their Test against India. Cricket South Africa (CSA) on Thursday announced the 14-strong Proteas women’s squad that will travel to India from 8-30 November. South Africa’s women’s cricketers will play in a Test match for the first time since 2007. It has been announced that they will play India, away, in a one-off Test from 16-19 November. 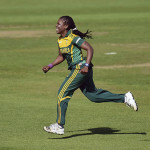 The Proteas women won the final T20I against Ireland in Solihull on Wednesday to secure a three-nil series victory. A second convincing victory on Tuesday evening meant that the Proteas women took a 2-0 lead in the three-match T20I series against Ireland. The Proteas women beat Ireland by 56 runs on Tuesday in Solihull to take a 1-0 lead in the three-match T20I series. Gareth Stevens reports. 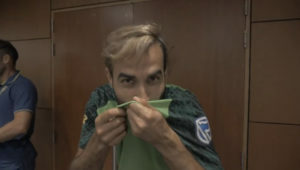 Behind the scenes footage of the Proteas’ World Cup kit photoshoot.